Proper management of RAM storage is necessary for you to make the most out of your device. This means knowing which apps to install and use. Generally, Android-based devices including Samsung's Galaxy Grand consumes a lot of RAM. This results to the phone system becoming slow. 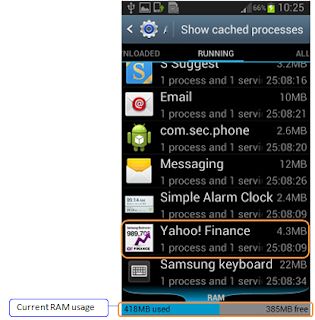 Goog thing there's something you can do to help reduce RAM usage in your Samsung device. Read on to learn more. In this content, we'll figure out how you must close down apps running in the background, making your processor to become sluggish. 1. Tap on Apps, to get started. 3. Under Settings option, scroll to and tap on Application Manager. Doing so will lead you to a next screen wherein you can reduce RAM usage on your device. 4. You should see three tabs, namely Downloaded, Running, and All. The Downloaded tab is where you can find the downloaded apps and memory used by them. 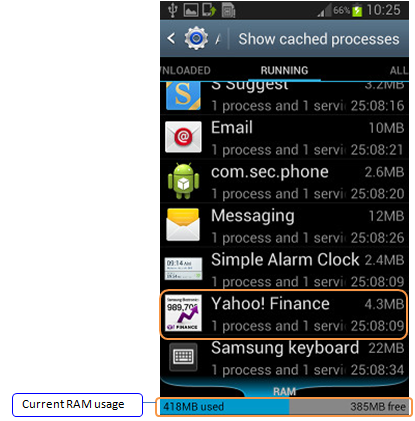 The Running tab is where you can find the current running apps and RAM consumed at present. The All tab is where you can find combined information from both the Downloaded and Running tabs. 5. Open the Running tab by swiping your finger across the screen. You should then see the total RAM consumed at present and the option if you want to stop an application. To reduce your RAM usage, select any unnecessary or unused apps running in the background and then Stop them. 6. Tap on the App you want to stop and tap on Stop. When prompted, tap OK from the Stop system service message box. Now, you can see the reduction in RAM after you stopped certain apps that are running in the background. You should consider making this part of your regular maintenance schedule to keep your device in good condition.